The aging process begins much sooner than most men and women would like, and the outward signs of aging can hurt your self-confidence. At Fusion Medispa in Odessa, Florida, the experienced aesthetic team understands that many adults want their appearance to reflect their youthful inner spirit instead of an aging face and body. They offer a variety of anti-aging treatments to smooth out wrinkles, rejuvenate skin and help you look and feel your best. If you live in the Tampa Bay area, call the office or schedule a consultation to learn about the comprehensive list of anti-aging services. Why do wrinkles and loose skin appear as I age? As you age, it’s a normal part of the process to see lines and wrinkles appear on your face where you’ve repeatedly made the same expressions over the years. Your cheeks may appear less plump, and the skin along your jawline and neck may begin to sag. The aging process isn’t just limited to your face ‒ you may notice dryer, loose, and more wrinkly skin all over your body, as well. As you get older, your body produces less collagen and elastin, which are the elements needed to support the outer layer of skin to keep it looking firm and smooth. Additionally, sun damage can cause more wrinkles and fat loss just below your skin’s surface contributes to loss of volume or a saggy appearance. If you smoke, this can accelerate the aging process by causing even more wrinkles. 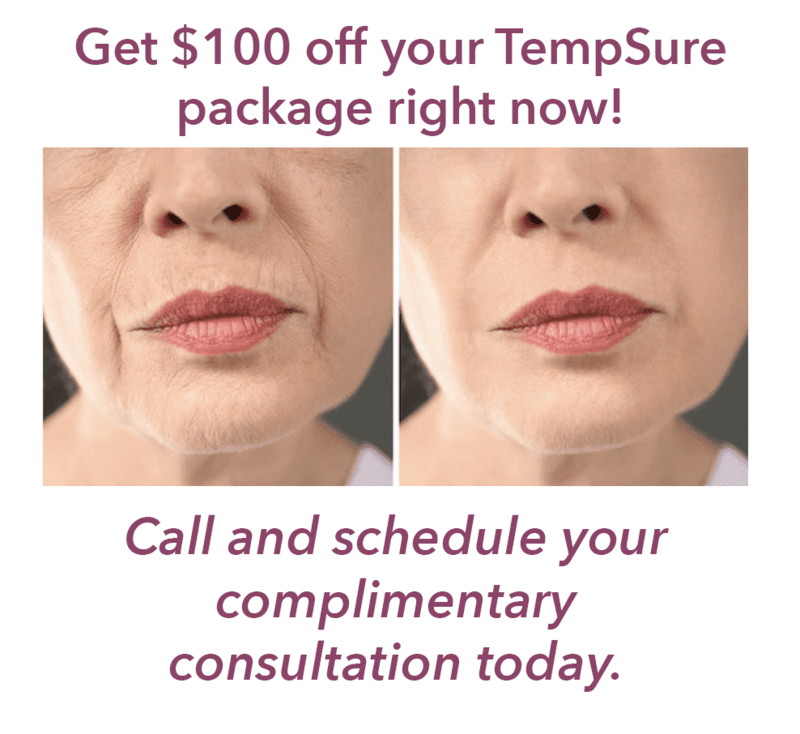 The team at Fusion Medispa offers a variety of anti-aging treatments meant to smooth fine lines and wrinkles, tighten skin all over your body, and help you look like a natural, younger-looking version of yourself. Some of the treatments rejuvenate your skin to give it a more even skin tone and diminish age spots, while others firm and plump your skin or fill in deep lines and wrinkles. The aesthetic specialists can recommend individual treatments that will address your aging concerns, or your can come in for a complete “mommy makeover” to help you get back to your pre-baby body. How long do the results of nonsurgical anti-aging treatments last? It depends on the treatments you have done, but in many cases, treatments that smooth wrinkles and lines and promote collagen growth last several months at a time. Many women and men choose a series of treatments for the best results, and of course, you’re always welcome to return for touch-up or maintenance appointments to help you keep the more youthful appearance you desire. You don’t have to sit back and accept the outward signs of aging on your face and body. Call the office or schedule a consultation using the online system to take the first step in your anti-aging journey.